We are pleased to grant to Mr. Gage a consideration in the pages of the history of the Nez Perces County since he has wrought in this section for a long time, has manifested those qualities of worth and perseverance that bring the meed of success and has maintained an unsullied reputation, becoming one of the leading men of his community, being esteemed and respected by all. He was born on October 1, 1857, in Gardner, Grundy County, Illinois, being the son of Thomas W. and Martha A. (Rogers) Gage, natives respectively of Vermont and New York. They came to Illinois in an early day and where Chicago now stands could have been taken as homestead land at that time. 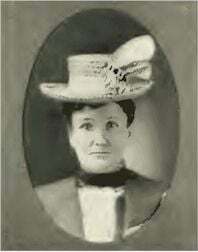 They removed to Missouri in 1869 and to Kansas in 1876, where the father died in 1896, aged sixty-six years and the mother still lives there. Our subject received very little schooling, but spent his boyhood days in working for his father and in the coal mines in Missouri. He has been careful to investigate and has read much during his life, thus having made up for the lack of schooling. 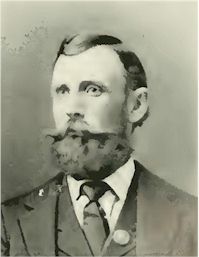 In 1879, he came west, locating a preemption near Moscow, where he went into the livery business Inn sold out two years after starting, then removed south from Genesee, where he purchased two hundred acres of land and farmed until 1887 when he sold and bought his present place, three miles south from Genesee. This land was wild at the time Mr. Gage bought it, which he cleared and broke, building a good house, barns, outbuildings and otherwise improving it until it is a model farm. He has a fine orchard of five hundred trees and does a general farming business and handles some stock. Mr. Gage has been active in the field of education, always laboring for good schools and has been both school director and road supervisor, and always evinces a manifest interest in the local politics. On December 6, 1885, Mr. Gage married Miss Julia, daughter of E. A. and E. A. (Warner) Sampson, natives of Missouri and Indiana, respectively. They crossed the plains in 1847 to Oregon and then returned to the states to come out west again in 1852. Mr. and Mrs. Gage have become the parents of seven children, as follows, Jessie, going to school in Genesee, William C, Ernest W., Mabel A., Chester E., Pearl A., and Eunice A. Mr. Gage affiliates with the W. of W. and the A. O. P. He is a man of broad experience and native talent which gives him a great prestige in the community where he is respected and confided in by all.